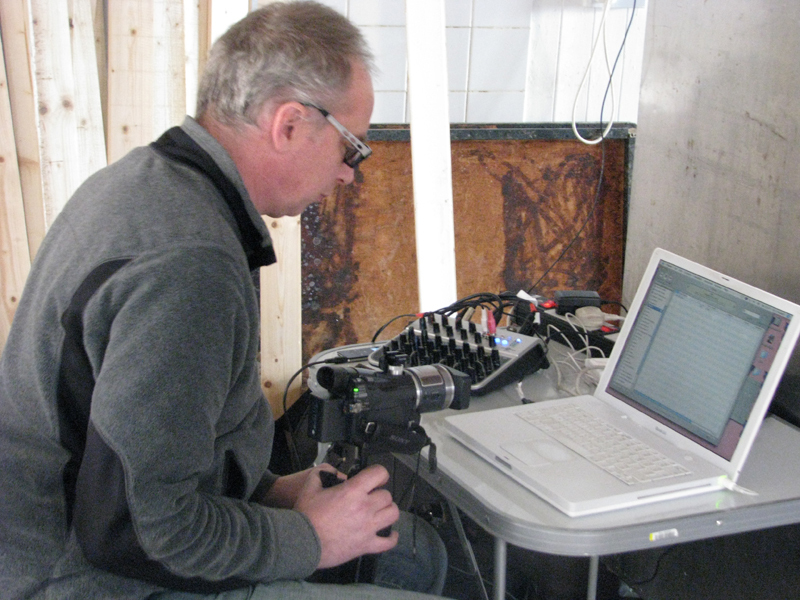 SOUNDING[S] ‘in the bakery’: mixed from a sonic installation, which took place on 6th April 2013, in a disused bakery – Bridport, Dorset UK – by David Rogers and Joe Stevens [metamedia]. The installation saw the artists investigate the intersections and relationships between architecture, space and sound. A live recording of the installation has been treated to create layers of textures to create a related but completely different work. The work finds David and Joe shifting their approach to the uses of field recordings. Taking the artists into new directions in the editing of sound, integrating aspects of rhythm, signal processing and spatial recording within the framework of minimalist composition. Interrogating the perceptual boundaries between noise and music and research the potential for sound technology to embed into architecture. This entry was posted in ambient, associate artist, audio, installation, music, open studio, partnerships, radio, soundscape. Bookmark the permalink.